Xbox 720 now know as "Codename Durango"
Double Fine Studio (creators of Pyschonauts, Brutal Legends and Costume Quest) have created a kickstart project called Double Fine Adventure. If you haven't heard of kickstart before here alittle run down on what kickstart is. Kickstart is a site that helps small companies start off, giving them a kick start if you will. Helping them get on there feet and make a profit. This is done by people of the public donating towards these companies. All funds earned from the Double Fine Adventure will go directly to a classic point-and-click adventure game. You are probably thinking why would I donate to a game company that has made successful games like Pyschonauts. If you donate $15 or more you will get a beta access to the game before release and a free copy of the game on steam. If you donate more you also get greater rewards. Posters, Special Thanks in the credits and One of the biggest rewards was Lunch with Tim Schafer and Ron Gilbert, a tour of the Double Fine offices. Though you had to donate $10,000 and someone has already gotten that reward. The company has had this running for just over a week so far and have earned $1,909,055 which is 4 times as much as they wanted in the first place ($400,000). The Goal was reached just over 8 hours into the kickstart event. It now hold the record of the most money earned on kickstart. In a recent update Tim Schafer has announced that the game will be made for PC, Mac and Linux. It will have a closed beta which will be ran through steam for everyone backer. Last week (8/02/2012) terrible news came in through on twitter about Adam Adamowicz losing his battle to cancer at the young age of 44. 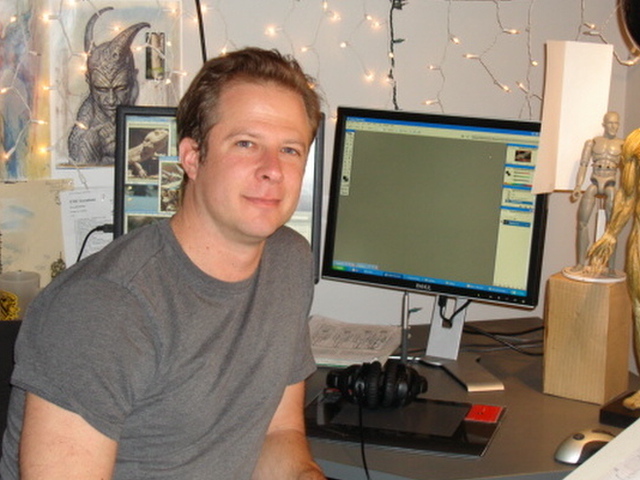 Many of you may not know who he is but Adam was a concept artist for Bethesda Game Studio. He worked on some outstanding titles like Fallout 3 and The Elders Scroll V: Skyrim. A co-worker of Adam's said in a blog about his death "He was full of life. Always drawing, always creating, and always the most entertaining person in the room. He was insanely creative. He made instant friends. He made those around him happier. He was the person everyone wanted to work with and hang out with. He made everyone laugh. He was the person you know that everyone loves." It's always sad when somebody dies and a young death is even more tragical. Shigeru Miyamoto spoke to Official Nintendo Magazine of the UK and revealed that he is hard at work on Pikmin 3 for the Nintendo Wii U. "Originally, I was making Pikmin 3 to be launched on the Wii platform," Miyamoto told Entertainment Weekly. "Because the Wii U is capable of HD quality pictures, and will be accompanied by the subscreen on your hand. I thought that I would be able to make a Pikmin that was closer to my ideal. I am now actually enjoying myself, working on the game." Stated Mr. Miyamoto. It will be quite interesting to see what the legendary Miyamoto can produce with the Wii U controller. Only time will tell. Mojang's creating a game from scratch for Humble Bundle. They have one weekend to create a full game. The pay what you want feature is how this one works as well. Pay $1 or $1,000,000 for the game that they create and choose what charity get the money. EFF, Child's Play, charity: water and American Red Cross are the charity. Note these lists don't contain every game release this week. I didn't think the new moshi monster games would interest you guys/girls. If by some chance you do, I am sorry.